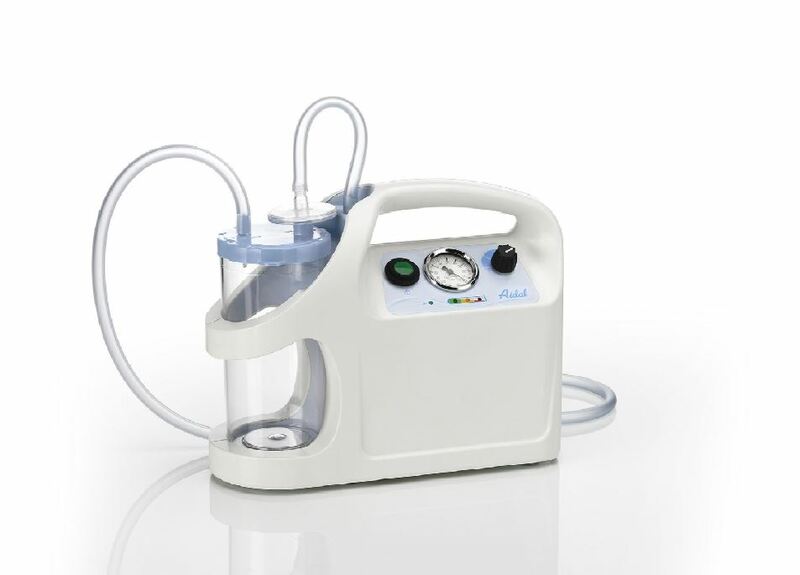 Aidal is the newest suction unit by ALMS, conceived to remove secretions from the upper and lower airways. It's a very performing device thanks to the high vacuum and high flow rates. It operates connected to the mains or by an internal battery, which guarantees a long autonomy. AIDAL has been designed to facilitate suctioning operations for the professional user and not. The round design, without any recess or edge, facilitates and speeds up the cleaning procedure. AIDAL is very comfortable also to carry around because it's balanced (right dimensions), lightweight and wieldy. The handle is comfortable also if wearing gloves.